I hate to be the party pooper here but I'm going to just be honest. That red thing has got to go. The work on the cake is beautiful. It's an excellent job. I'm going to assume the pink scarf is some type of edible substance but if you told me its not and its really pink fabric I would believe you. It's outstanding. The hair is amazing, the overall design of the cake is charming. I love the black with the big white dots, its just a wonderful cake, all except for that big red thing. When I saw the cake the first thing I thought, "why is that woman wearing a clown nose?" I hate to say this but it looks like a big red clown nose. If it were the "Pepto Bismol" pink then I might think bubble gum but I don't think I have ever seen red bubble gum. I know I'm middle age and a bit conservative but all the GOOD bubble blowing bubble gum that I know about is pink and the bubbles are pink. I'm guessing this might have been a birthday cake for someone? If the person who ordered the cake wanted this red ball then I guess you're stuck with it. I will say its made well. I can't work with that isomalt two cents worth so your cake work is outstanding. I just don't understand this red ball distracting from what otherwise would be a truly memorable and outstanding cake. Best of luck to you, without question you have a true gift to do wonderful cakes, keep it up. I think this cake is beautiful. I lived in the 50s and I see nothing wrong at all with colors or anything, its perfect! Awesome job, I know I will copy this one day! Great cake! Wow! This cake is perfectly beautiful! I love love love it! Especially her blowing the bubble. This is absolutely brilliant! 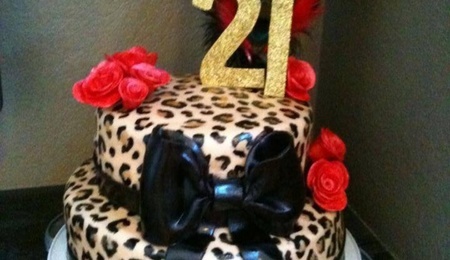 I want to do a cake like this!!!!!!!!!!!!! 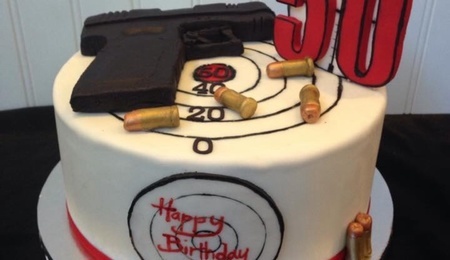 I love this cake, do you have other views of it? How did you do the face. I would love to do this for my grand daughter, its such a great cake! Thank @gidgetdoescakes! I found the image and printed it on paper and laid it over the fondant and traced over the outlines of the face. (Mcgreevy cakes has a YouTube video on this). I painted the face with luster dust and vodka and for the shading I just used luster dust with no alcohol. LOVE this!! It is absolutely perfect. My bestfriend’s birthday is Saturday and she’s a total rockabilly girl and I’ve planned on doing this for her. Any suggestions? One question, is the hair fondant or gum paste? I think I’m going to have an edible image printed off and work over it for the hair and bow (and bubble of course).